The island of Lanzarote is the easternmost of the Canary Islands, located about eighty miles off the coast of Africa. Although only thirty-seven miles wide and twelve miles long, do not be fooled by its small size. Adventure is around every corner on this breathtakingly beautiful island. Many people have described parts of Lazarote as ‘Martian’ in appearance due to the volcanic eruptions in the 18th and 19th centuries. A perfect tourist destination year-round, the island has a comfortably mild climate anyone will enjoy. While exploring Lanzarote, car rental can be beneficial as public transportation is quite limited. The Cueva de los Verdes (Green Caves) were carved some 3,000 years ago as part of the Atlantida underground cave system when the Corona Volcano erupted. The caves are lit artificially for tourists to enjoy; they are truly a magnificent sight. A six kilometre tunnel is easily one of the longest volcanic tunnels the world knows, but only two kilometres are open to the public. A concert hall is located in the lowest part of the cave and will provide excitement and entertainment for all. A species of blind albino crab (Munidopsis Polimorpha) has made its home in the underground salt water lagoon known as Jameo Chico. They are found nowhere else in the world. See for yourself why they don’t want to leave! 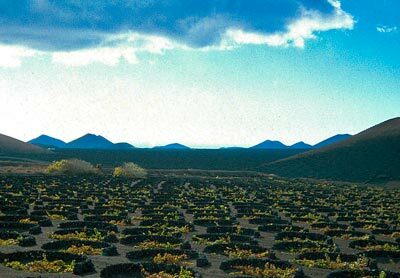 Wine lovers will be impressed with the Wine Museum of Lanzarote. The oldest winery in the Canary Islands, it was reportedly built in 1775 and placed at the old cellars of the "El Grifo" wineries that were built over volcanic lava left over from an 18th century eruption. Wine continues to be made here to this day. The interesting structure is composed of volcanic stone, mortar, and ceiling beams mostly composed of salvaged ship-wreck materials. Car hire is the perfect solution for transportation to and from the winery. If you are a windsurfing enthusiast, the island of Lanzarote is your perfect vacation destination. Clear, warm waters and predictable weather make the beach of Las Cucharas in Costa Teguise the best known windsurfing spot on the island. Car rental is wise, as you will need to transport your equipment whether you have your own or are renting. Beginners will enjoy a lagoon shielded from winds and waves called La Santa, located on the west coast of Lanzarote. Other popular activities include parasailing, guided walks through tropical parks, and jeep safaris. Lanzarote is speckled with beautiful white sandy beaches despite the misconception that the volcanic nature of the island ruins any possibility of a comfortable beach. A worry-free solution to get you to the beach and back for a day of sun and relaxation is car hire. This island is a perfect escape for any family, boasting exciting attractions, relaxing beaches like Playa Blanca and Papagayo, and surprisingly lively nightlife. Proper transportation is a must on an island, no matter how small. Plan accordingly and look forward to an astounding vacation on Lanzarote. Last month, the average car rental length at Lanzarote Airport was 6 days. The average rental car length at Lanzarote Airport is 6 days. The most booked rental car type currently at Lanzarote Airport is ECONOMY cars. Last year, the most booked rental car type at Lanzarote Airport were MINI cars. How much does it cost to rent a car at Lanzarote Airport? Last month, the average car rental price was 131 USD. Last year, how much did it cost to rent a car at Lanzarote Airport? Last year, the average car rental price was 118 USD. What is the current average daily price to rent a at Lanzarote Airport? Last month, the average rental price was 22 USD per day. How much did it cost to rent a car at Lanzarote Airport over the past 12 months? Last Year, the average rental price was 20 USD per day. The car rental companies available at Lanzarote Airport are: Enterprise, Interrent, Cicar. See below last 5 customer reviews. Our customers rated Lanzarote Car Rental with an average of 0.00 based on 0 ratings.